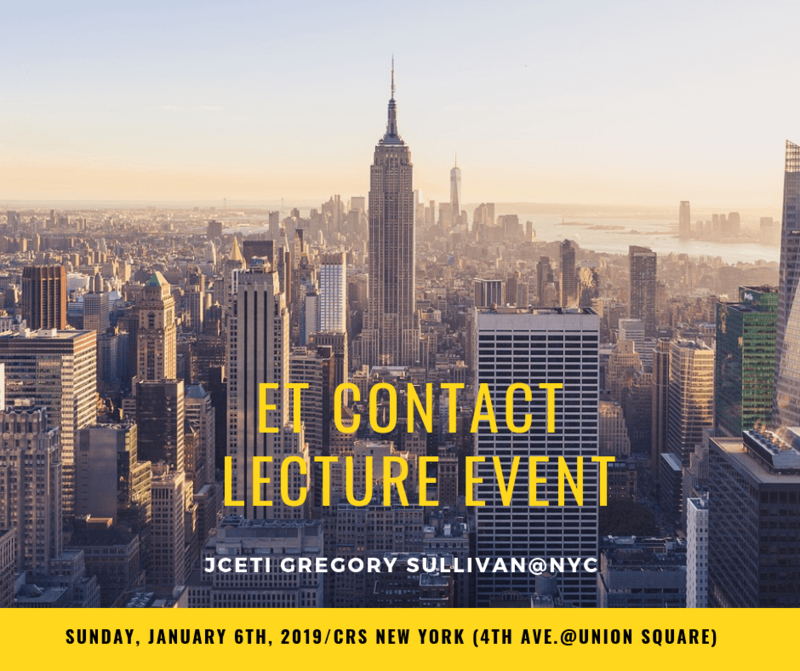 Catch a rare lecture presentation by JCETI founder Greg Sullivan in this New Year’s Homecoming event in Manhattan, NYC. The place where the JCETI journey first started will be home to a presentation of 8 years worth of ET contact work on the front lines of the global Ascension wave. A lecture presentation with footage from 8 years of CE-5 activity in Japan will be followed by a short guided meditation. Greg Sullivan is a researcher and author and experiencer who lives in Japan and coordinates JCETI, Japan Center for Extraterrestrial Intelligence, a research organization “currently working to expand awareness about positive human futures, ET Disclosure and benevolent ET contact in Japan.” Since 2010, JCETI has led a new wave of ET contact and Ascension work in Japan. Greg has been active in Japanese TV and print media for more than 10 years. His publications include four books in Japanese, several appearances in well-known spiritual magazines ’Star People’ and ‘Anemone’, and a monthly series of articles in Dr. Masaru Emoto’s IHM World. In the US, JCETI contributed a chapter in the anthology “Paths to Contact” and he has a book in English forthcoming in early 2019. He has also been a long-time guest on ECETI’s As You Wish Radio, and The Hundredth Monkey Radio.